The Olympic Games were revived at the end of the 19th century as a celebration of sport, health, and amateurism. They show the world what the human body is capable of if you just work out all day, eat really boring food, and are willing to pee into a cup in front of strangers. Those who push themselves to the limit and succeed become national heroes. But it would definitely be weird to see the tug of war championship team on a Wheaties box, or even the gold medalist in painting. 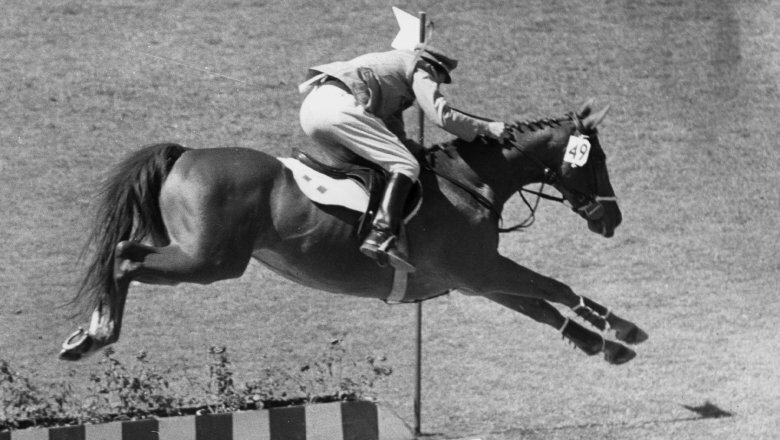 Over the years, the Olympics have experimented with some truly bizarre events. Or they have dropped perfectly normal sports that just didn't work out for one reason or another. Some of them might make another appearance in the Games one day, while others are likely gone forever. Which is a shame, because a few of these competitions are perfect for people who would love to be Olympians but hate exercise. 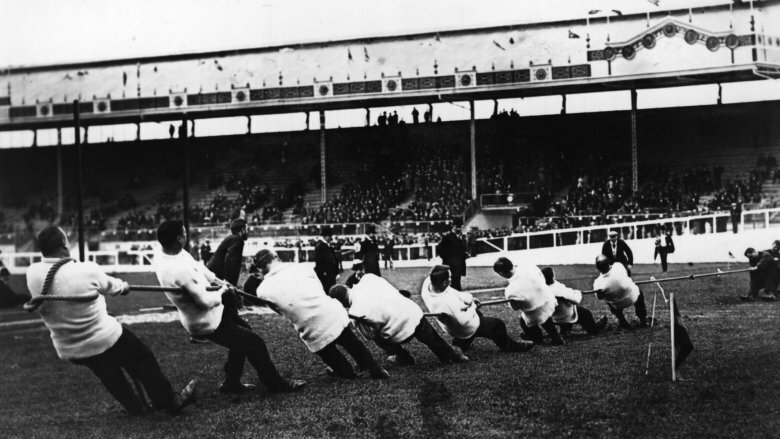 Tug of war made its Olympic debut in 1900 and amazingly stuck around for five Games. And according to the English Tug of War Association, in those 20 years the competition was full of records, craziness, and controversy. Originally, there was no group of guys training just to be the best at tug of war. The competitors were usually pulled from other sports and simply participated in this one, too. This could cause problems, like when the U.S. tug of war team had to withdraw from competition in 1900 because it clashed with the hammer throw event three of the athletes were supposed to be at. The first tug of war gold medal was won by a team made up of athletes from both Sweden and Denmark for some reason. There was controversy in 1908 when the U.K. team, made up of Liverpool policemen, wore "enormous shoes, so heavy in fact that it was only with great effort that they could lift their feet from the ground." The American team called foul, but the cops claimed it was just "regulation police footwear." Not surprisingly, Britain won. But tug of war does hold one major distinction. Constantin Henriquez de Zubiera was a member of the French team in 1900 when they won silver, which made him the first black medalist at the modern Olympics. Regardless, the sport was cut from the Games, along with 33 others, after 1920, because the International Olympic Committee thought things were getting out of control. The 1906 Games exist in a kind of weird limbo. They were called the Olympics at the time, but these days the IOC doesn't recognize them. They were also held in between the normal four-year spacing, with official Games taking place in 1904 and 1908. But official or not, 1906 manages to have the distinction of a truly bizarre sport. It introduced two dueling events, but since dueling can kill or injure those involved, the competitors instead showed off their skills against dummies. According to Topend Sports, the dummies looked like perfect gentlemen, made of human silhouettes wearing frock coats. The competitor, using a pistol with one bullet, aimed for a bull's-eye on the dummy's chest. He got 30 tries and a maximum of 150 points. In the much more official 1908 Games, dueling was included but only as a demonstration sport, meaning people were showing off what they could do, not competing for medals. Outdoor Hub says this time, however, it actually involved two people. Since shooting someone in the head would be a bad look for the Games, competitors only used wax bullets. 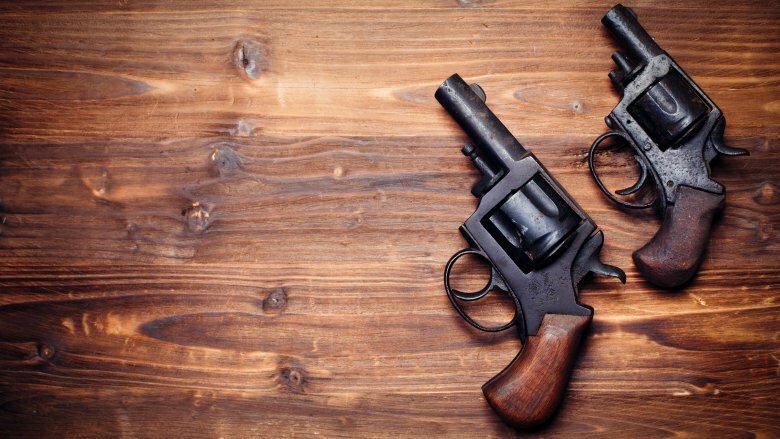 The precautions went even further, with each participant wearing a full-face mask so they didn't lose an eye, and the gun even had a protective guard for their exposed hand. Perhaps realizing how badly they had to water down the "sport" that killed Alexander Hamilton and plenty of Wild West cowboys, the Olympics gave up on dueling entirely after 1908. Cricket is one of the biggest sports in the world and has been for a long time. Basically, any country the British colonized thinks cricket is awesome, with the glaring exception of the United States. But it's still weird that such a popular game, which is undoubtedly a sport, isn't part of the Olympics. According to Cricinfo Magazine, cricket was always meant to be included in the Games. It was listed in the program for the first modern Olympics in 1896, but when not enough countries entered it had to be canceled. In 1900, four teams entered but then two pulled out, leaving just one match between France and England. It gets sadder when you learn the French team was made up almost completely of expat Englishmen. The two-day "international" took place in a stadium that could seat 20,000 people, but the only spectators were about a dozen French policemen. It hadn't helped turnout that the official newspaper of the Games called cricket "without color to the uninitiated" (meaning it's super boring if you have no idea what is going on). The English team won, but they were awarded silver and the French were given bronze, for some unknown reason. The 1900 Games were so confused that neither team seems to have been aware they were competing in the Olympics. By 1904, cricket wasn't even considered as an event. These days there is serious talk about bringing it back, though, and there's a good chance cricket will be included at Los Angeles 2028. The 1900 Paris Games were the craziest ever. It was only the second modern Olympics and after a smaller start in Athens four years earlier, in Paris the organizers threw every sport against the wall to see what stuck. That means a lot of the oddest events come from this year and then disappear from the Games forever. The horse long jump was among them. No equestrian sports had been included in 1896, but according to the official Olympic website, in 1900 they tried five, although only three were recognized by the IOC. Those were jumping, high jump, and long jump. Only regular jumping would make it past these games. The idea was to take the long jump and high jump that human competitors were doing and see how well the horses did. The thing is, it wasn't very exciting. The human records absolutely demolish the horse ones, although Italy is probably proud they got their first ever gold for the horse high jump. While the equestrian winners enjoyed the medals and, for some reason, artwork they won, the categories were quietly dropped by the next games. And don't look for them to make a comeback. These days, even the remaining equestrian events are considered controversial because many see the horses as the athletes, not the riders. If anything, it's more likely that the remaining events will be cut rather than new ones added or old ones brought back. The first and only time croquet was included as an event in the modern Olympics was during the craziness of the second ones in Paris, 1900. According to Croquet World, even the official report written after the Games ended hinted that standing around and knocking a ball with a mallet every now and then was hardly a demonstration of the amazing things the human body could do. 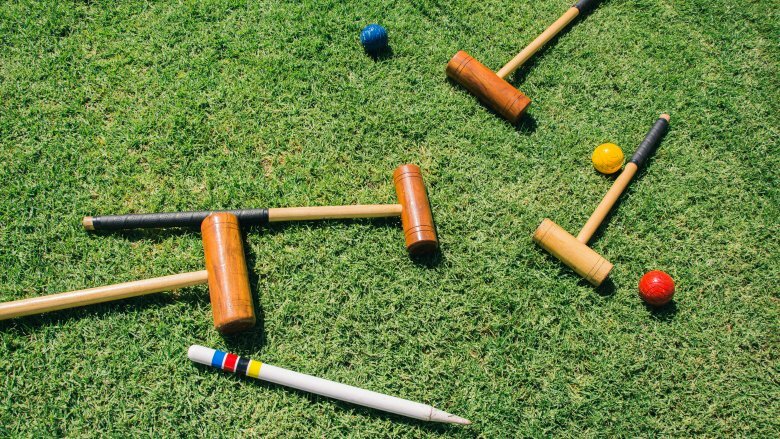 Calling croquet a "gentle pastime" with "hardly any pretensions to athleticism," the report concluded it wasn't really a sport. Not that the authors wanted you to write off croquet completely! They assure you it would be wrong to "disdain croquet" because it develops the mind, going so far as to say playing it can turn young girls into "reasonable people." That might be why the first two female competitors allowed in the modern Olympic Games were on a croquet team. The French absolutely dominated the medals, but that was because they were the only ones who entered. The Games took place over the course of months, and the French made sure the croquet matches were really spread out to heavily discourage competitors from traveling. The event also didn't draw huge crowds. 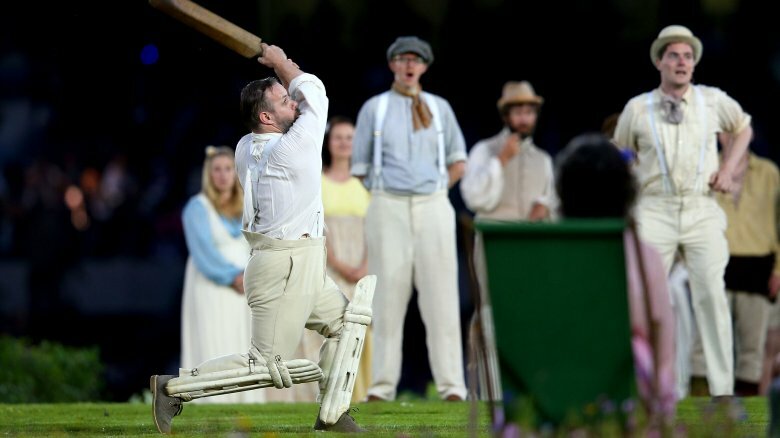 Other than one Englishman who loved croquet so much he made a 600-mile journey to watch it, literally no one else bought a ticket. 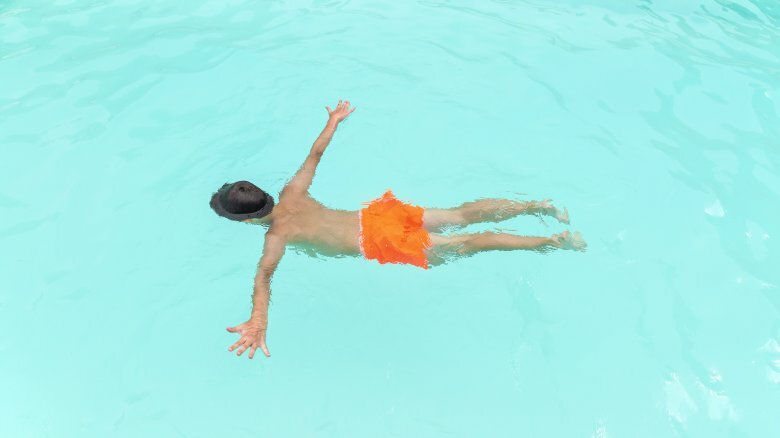 When you hear the phrase "synchronized swimming," you'd be forgiven for thinking the "synchronized" part refers to the two or more people in the pool doing the same moves at the same time. But according to Swim England, solo synchronized swimming is totally a thing because the single athlete is synchronizing with the music. In other words, if you can count to four, just learn to do it upside-down in water and, bam, you're a sportster. The website kind of points out the problem here on the exact same page, when it says, "It is easier to synchronize the fewer people there are in a routine." Yes, that makes a lot of sense. And it's exactly why the idea of solo synchronized swimming seems like a joke. 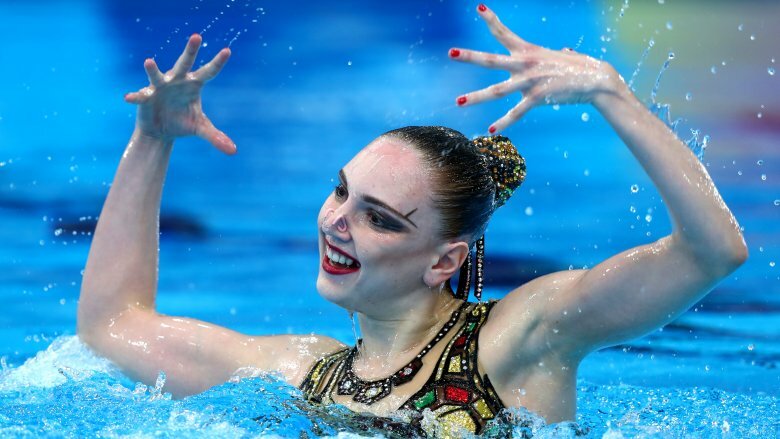 iSPORT says the first "water ballet" competition was held in 1891, and during the 1940s and '50s, Hollywood even made synchronized swimming cool by putting it in a bunch of movies. But it took two decades of pushing it as a legitimate sport before the International Olympic Committee gave in. Even then, the IOC held out on the solo event until the last minute. Duet synchro was added to the 1984 Games well in advance, but it was only three months before they started that the committee decided to allow the soloists to compete as well. The spectacle of one person dancing in a pool lasted a whole three Olympics before it was dropped in 1996. It's hard to find anyone demanding its return. Polo was in five Olympics, with big gaps in between: 1900, 1908, 1920, 1924, and 1936. There doesn't seem to be another sport that was dropped and then brought back so many times. And there is a chance it might make another appearance one day. According to Sports Reference, the confusion around the 1900 Games was even worse when it came to polo, because there were four tournaments going on in Paris at the same time, even at the same site. The matches believed to be official Olympic ones were contested by players that switched teams and played for whatever country they felt like. The English team — made up of two Americans and an Irishman — won gold. Only three teams entered in 1908, and just two matches were played. Over the years the number of entrants stayed tiny, and in Berlin in 1936, two of the teams were so bad they were only allowed to play each other. 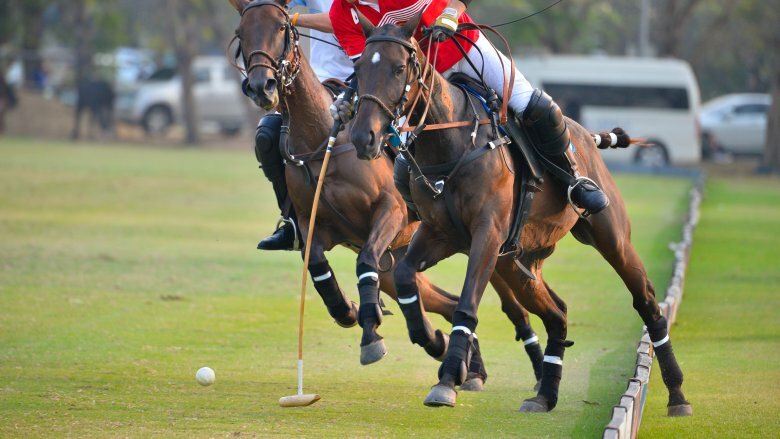 Polo wasn't brought back after World War II, making it the last sport to be cut from the Olympics until 2008. PS Polo reports that the IOC made polo a "recognized sport" again in 1996, which means theoretically it could be brought back. However, on top of the resistance to equestrian events in general, it has the same problem it faced way back in the first half of the 20th century: there aren't enough countries that can play polo at an Olympic level. America proudly hosted the third modern Games in St. Louis in 1904. They also added one of the weirdest Olympic sports of all time, and that is saying something: the "plunge for distance." While the name conjures up something pretty exciting, it was anything but. According to Desert Sun, five men entered the event, all from the U.S. They took turns standing at the edge of a pool, then diving in. And that's when the exciting sporting feat really didn't begin. After diving in, the competitors didn't do anything. At all. The rules said they were not allowed to move their legs or arms, or do anything that could propel them forward. They just lay face-down on the surface of the water, slowly floating along with whatever momentum they got from the dive. The winner was the one who went the furthest in 60 seconds or before he had to come up for air. In this case that was about 63 feet. It was basically a medal for not drowning for a short period of time. Amazingly, not many people turned out to watch the lack of excitement. The "sport" was openly mocked even at the time, especially because the athletes weren't actually very athletic. One newspaper described the men as "mere mountains of fat who fall in the water more or less successfully and depend upon inertia to get their points for them." Unsurprisingly, the IOC never included distance plunging in another Olympics. Despite equestrian sports being notoriously dangerous for the horses involved, none of them are thought to have died at an Olympic Games. 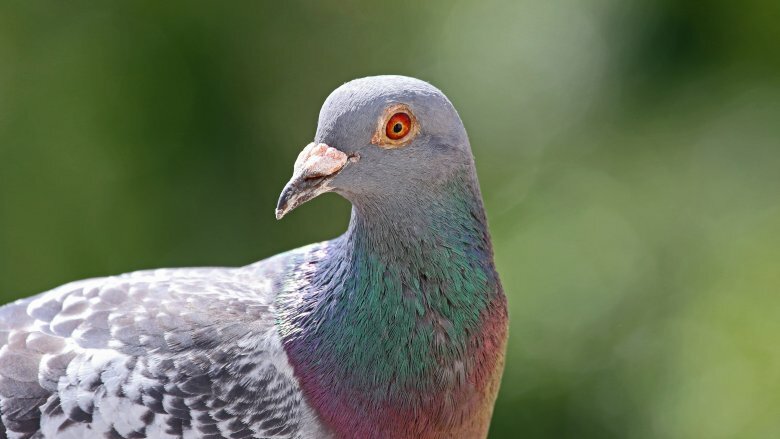 The only time animals have been sacrificed at the Games for sport was in 1900, when instead of shooting clay targets, the organizers decided to use actual live pigeons. Animal lovers and vegetarians look away now. Because according to the Scotsman, by the end of the day, almost 300 pigeons had been slaughtered for no reason. The live birds were released in front of each competitor, and they just started blasting them out of the sky. They got to keep shooting until they missed two pigeons in a row. Then it was someone else's turn to kill as many as possible. You can imagine that the area started to look like a horror movie, or a "gory battlefield of blood and feathers." The gold medalist took down 21 birds, closely followed by the silver medalist's 20. The bronze medalist had traveled to Paris all the way from Australia just to show how good he was at murdering innocent animals. Despite the fact that they were into blood sport, the competitors were gentlemen when it came to dealing with other humans. The top four winners decided to split the prize money of 20,000 francs between them. Someone must have freaked out about this event, because all shooting competitions were dropped from the 1904 Games. When they came back in 1908, the live pigeons had been replaced with clay targets. The father of the modern Olympics was Baron Pierre de Coubertin. He had a grand vision about how the competition would show the best things humans were capable of. But according to Smithsonian Magazine, he never meant that just physically. From the beginning, the baron felt that ability in the arts was just as important as sports. It took him awhile to convince the other organizers, but by 1912, medals were given out in lots of arts categories, everything from music to architecture to painting. However, there was the caveat that entries had to be "inspired by the concept of sport." American Walter Winans already had a gold and silver medal in sharpshooting when he took home the first Olympic win for sculpture. De Coubertin himself won gold for literature, and while that sounds sketchy at first because of course the guy who invented the Games would win, he submitted under a pseudonym. While the art competitions stuck around until 1952, there were always seen as less important. 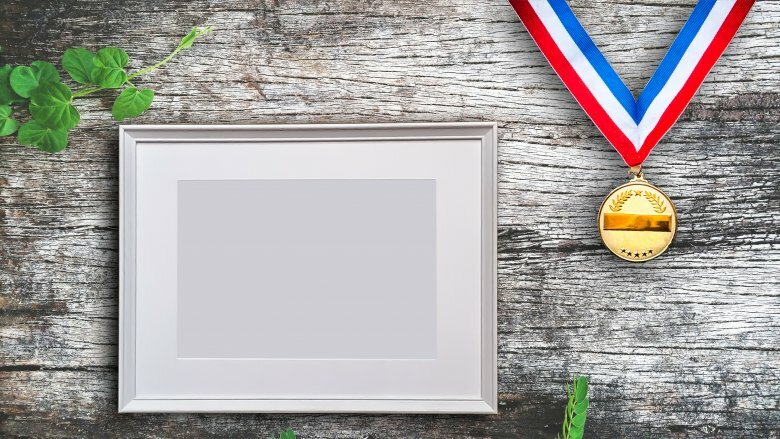 Since what was "best" was more subjective than in sports, sometimes only a silver medal would be awarded and no gold, or occasionally no medals at all. Artistic types were afraid of entering because losing could damage their reputation. When the Games returned after World War II, the IOC suddenly decided the competitors in the arts categories weren't amateurs like the athletes and so they had to go. Now, despite 151 medals given out over 40 years, those categories have almost been completely forgotten.